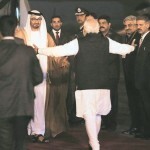 Prime Minister Narendra Modi received Abu Dhabi Crown Prince Sheikh Mohamed bin Zayed Al Nahyan at the airport as he arrived in New Delhi for a three-day state visit. 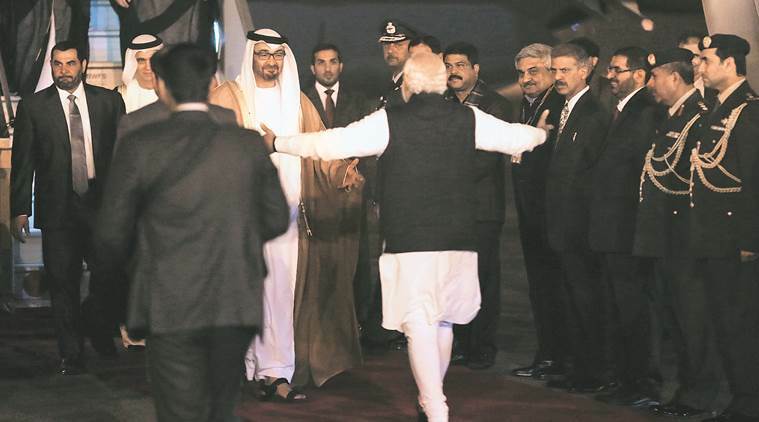 Hours after his arrival, Al Nahyan expressed his keenness to the strengthen strategic relationship between the two countries.“India’s political and economic weight allows it to play a vital role towards regional and international security and stability. Bilateral relations between the UAE and India are strong and we are keen on strengthening our strategic partnership,” a statement released by the UAE embassy quoted him as saying.